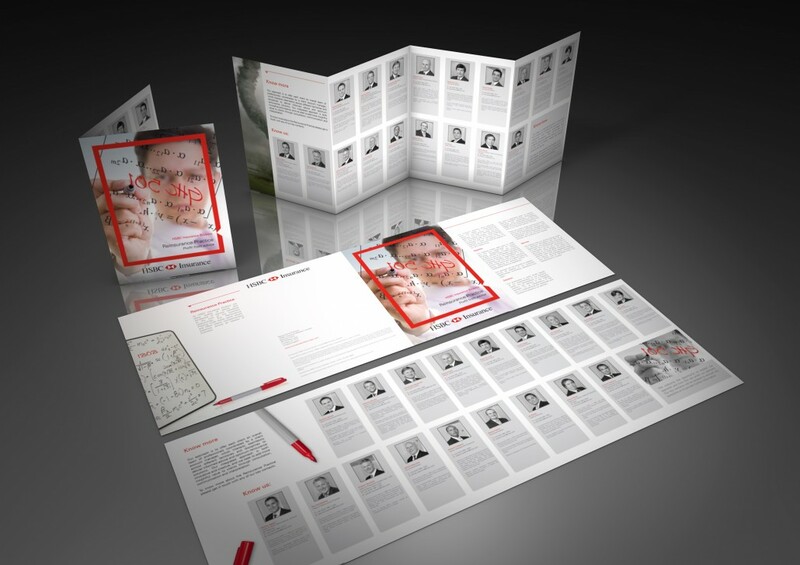 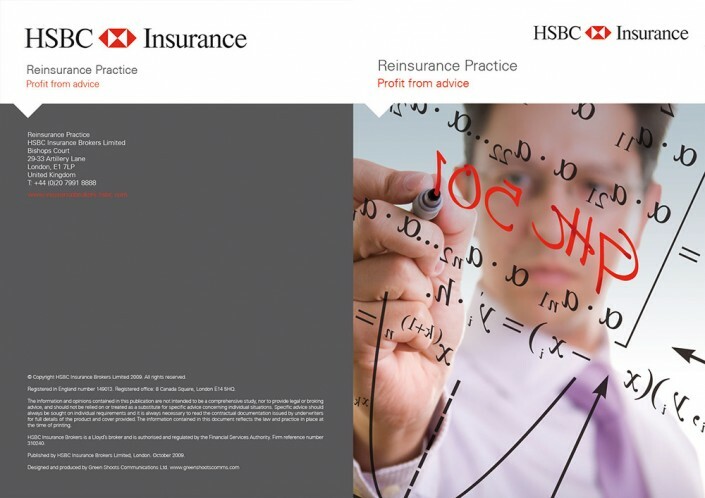 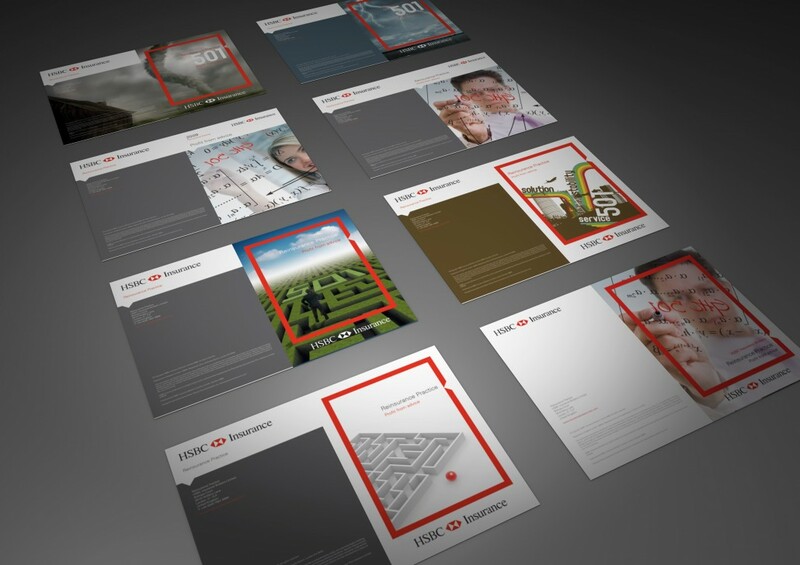 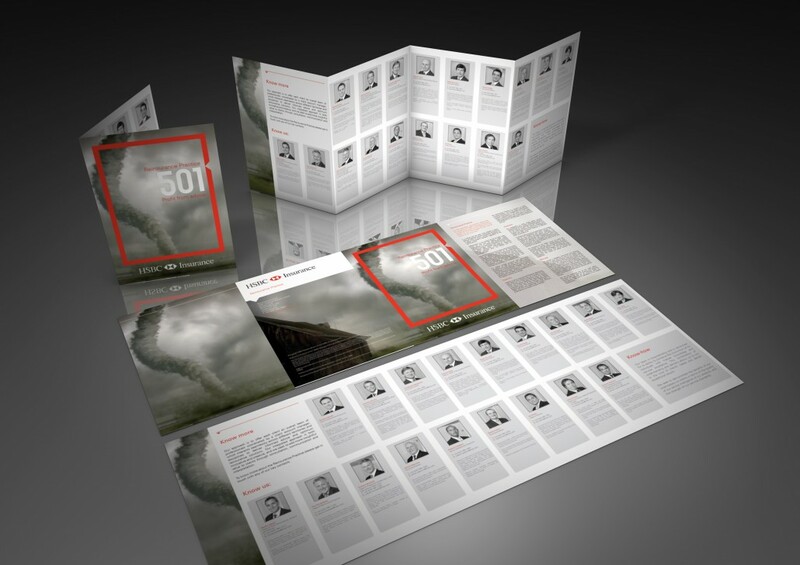 As part of a wider strategic marketing review, FDG were asked to design a small credentials brochure for HSBC Insurance Brokers Reinsurance Practice. 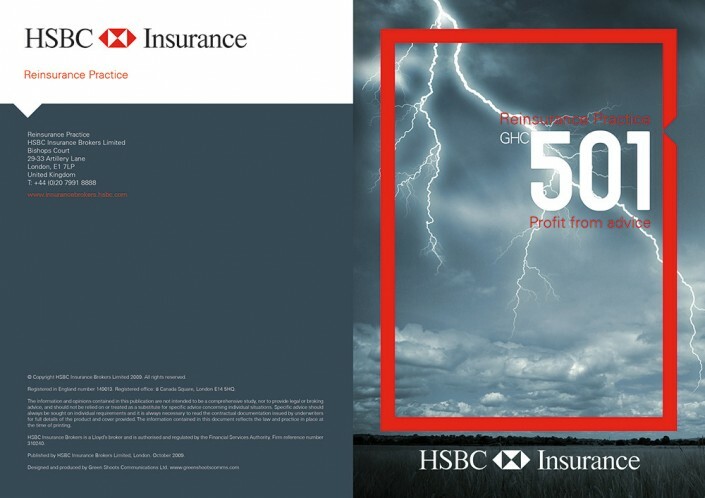 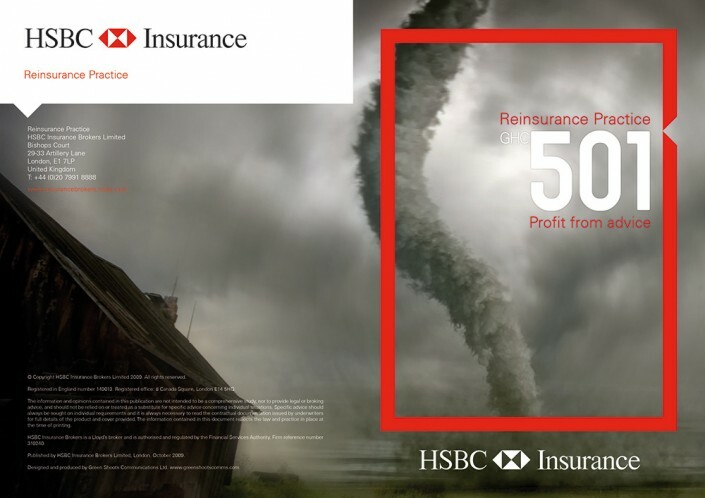 Working closely with Amanda Burton at Green Shoots Communications to define key messages, FDG produced concepts which reflected HSBC’s broking origins by incorporating their broker number of GHC501 into an eye catching design which still complies with brand guidelines. A high quality paper stock and key elements picked out in spot UV varnish ensures a high quality feel to this small but invaluable piece of marketing collateral.